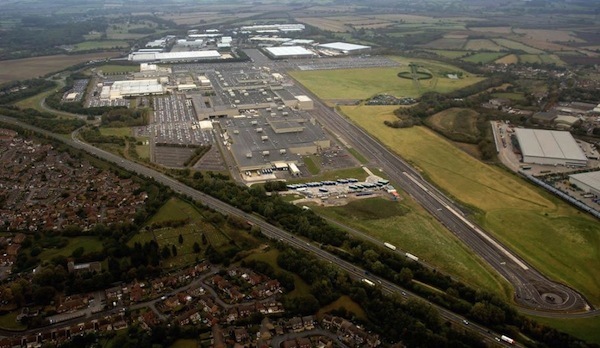 Honda has introduced a second shift at Honda of the UK Manufacturing Limited (HUM) in Swindon. As part of this, 500 new Associates have been taken on, bringing the total number of employees at HUM to 3500, with the production volume forecast to double to 180,000 units in 2012. Speaking in December, Honda Motor Europe President, Manabu Nishimae, said Honda remained totally committed to building cars and engines in Europe with Swindon at the heart of Honda’s European manufacturing activities. This move to a two shift pattern on Line 2 represents a further step in HUM’s increased production activity and coincides with growing demand for Honda’s new Civic family hatchback. In addition to the new Civic and the Jazz, 2012 will also see the mass production launch of the new European CR-V and the introduction of a new small diesel engine, both of which will be produced at HUM. I assume an associate is Honda speak for an employee? While welcoming the good news for Swindon, I do worry that Honda, more than just about any other manufacturer have seriously lost the plot. The new Civic was set up on a ramp at Geneva, to allow the masses to see suspension little different from the Audi 80 from 40 years ago – the whole car looks like its predecessor, but cheaper and tamer in its styling. The new CR-V is horrendously ugly, the Accord bloated anodyne, and out of touch with the expectations of European buyers. Honda’s hybrid technology is far behind Toyota’s, and probably now GM’s. Their only bright spot is the honest, functional Jazz, the sort of car I’d like to be driving in 30 years’ time. Imagine what Rover could’ve been, 25 based on the Jazz, 45 from the Civic, 65 based on the Accord, perhaps even a Legend-based 85 which might have sold with a longship. Well, Honda had their chance in 1993 to establish a more long term alliance with the Rover Group through acquiring a majority shareholding, although they dithered around and were non-commital. Sadly, as history shows, it was the Rover Cars division that would loose out. Aside from this, this is very good news for Honda’s Swindon plant, especially when in early 2011 things weren’t looking so fruitful. Honda might not be radical or ambitous when it comes to revolutionary stylng, but they clearly do something right to keep attracting repeat business and a legion of new customers in the process. What a shame it turned out. Although they might’ve ended up as a top of the line spec of Accord and Legend like Vanden Plas or Daimler. NT 4 wasn’t too bad and Windows 95 (16-bit 4.x) was a revolution on the desktop OS, even though it was stolen from the mac. Honda’s soul departed on August 5 1991, despite old Soichiro having officially retired from any executive responsibility many years before. There have been a few brave tries to regain the corporate spirit – S2000, various Type R cars, but all have been flawed and lacking in the confidence of the pre 1991 products. These days Honda are as dull, if not duller than Toyota or Mazda. Hondas may well be dull and ugly, but they give their owners what they want- which is an appliance which will always start first thing in the morning and run forever. Like you though, I wish they’d come up with something better than that- something aspirational. A true modern equivalent of that little firecracker CRX coupe for example instead of the CRZ. Still, its good news that they are taking on staff- my city (Gloucester) is within commuting distance and some of their staff are from this neck of the woods. I once owned a Honda Accord Aerodeck (estate). It was a 93 model 5 door- and so frustratingly a ‘nearly’ car. It was too low-slung (I’m 6′ and could feel the hair on the top of my head rubbing the sunroof surround), the steering was arcade-game light yet very low geared so it took far too many rotations to change direction and completely wasted a capable chassis with double wishbones; and the non-VTEC engine was still too high-revving and lacking in torque for a heavy estate car. On the other hand it was superbly built and they go on forever. The 99 Accord Coupe seems to waft about happily enough, and other than rear brakes binding hasn’t caused me too much out of pocket. @4 I would say that most honda car buyers aren’t massively interested in what goes on under the back of the car, as long as it keeps doing it right. My civic estate new in 1999 suffers intolerable road noise and Honda refuses to explain why they will not rectify it. Otherwise the vehicle is interminably dull, the VTi 1600 engine rated at 125bhp feels like anybody elses 1200 up to 4000rpm and anybody elses 1600 over that. The vehicle is unusable because I can’t risk parking it unattended as thieves continually break into it because security is below standard, and the vehicle is very expensive to run. Struggle to think of anything to commend it, really. This us a 13 year old car and will be very outdated now, same as comparing a 1986 Austin Maestro 1.3 with a 1999 Rover 45. If you can, be cruel to be kind and get rid. @13 what tyres are you using? I’ve found that my BF Goodriches are much worse for road noise than some other brands, but the extra grip makes up for it. And as for security what are the problems your getting? My 45 (pretty much the same car) seems no better or worse than any other contemporary car. As mentioned it’s a 13 year old car by now, and even the most advanced security can be defeated if ner do wells have had that long to study them. I do wonder about Honda’s UK sales strategy, eg no Brio and various other models sold elsewhere. Fantastic news for UK car manufacturing. Contrast that with the depiction in half an hour’s time in Beeb 2 of the dismal state of UK manufacturing in the mid 70s……. @4 – your comments brought to mind an exercise Car magazine did in the early 90s, comparing the 5th generaton Civic (the one with the split rear tailgate) and the US designed 6th generation – there was great talk of ‘de-contenting’ then. Honda seemed to take note – the next 2 generations of Civic offered a lot more ingenuity (7th Gen – packaging, handling, R-Type models, 8th Gen technology, styling, distinctiveness). Maybe the Civic is on the ‘dull’ cycle…….does it matter? The car obviously sells. I agree with 15- Rhydian Edwards comments about BF Goodrich tyres- they grip really well and are very cheap for what they are- usually (if you shop around) no dearer than most budget radials. Very under-rated. Good news. We can obviously manage car plants well. Shame we didn’t do so well when it came to a whole company. No prizes for guessing which company I mean! Such an amazing and wonderful resurgence of the British motor industry after being in the doldrums for so many years – indeed many technical type manufacturing businesses are starting to feel an uplift despite the general bad news, which appears to be caused by a combination of other things – service sector has been hit but retail has been hit particularly hard. Personally, I feel everything is heading in a positive direction but there is a long way to go yet – the technical base for the UK motor industry is yet to be fully established and the primary and secondary education systems need a good kick up the arse. However provided everyone continues to work as hard as they have done so far, and holds their nerve, everything will keep going forward for us to be taken much more seriously on the world stage again – not just in manufacturing but in technical knowledge too. Well done Honda – this is great news!! Have to say, hate all Honda cars, mostly awful to look at and extremely boring. I can’t criticise their reliability (though not perfect I hear) but they are not for me. I’m actually surprised their production levels are so low? So if they are aiming to double production to 180,000 then they are only producing 90,000? I’m really surprised it’s so low! I think that the main reason for the upturn in manufacturing is China. Of course, it’s very welcome but I hope that the UK PLC is making hay whilst the sun shines! @28 Again,, it’s why I mention the primary and secondary education system.. until that’s sorted we’re not going to advance as fast as we could do and many in the CBI realise this. And lets not get confused with the volume of what they make, with the value of what we make. Another problem for China is that the level of growth they are experiencing is unsustainable and would happily predict that they will slow down over the next 15 years as wages get higher – this is already starting to become a problem in the established manufacturing provinces out there. Their car industry is also very heavily fragmented too and eventually they would need to do exactly what the Brits, the Americans, the Germans, and even to a certain extent the Japanese and Koreans – consolidate to reduce R&D and production costs – they can’t rely on JV’s forever. @25 HUM Production was halved to 90K in 2011 following the tsunami and the difficulty in obtaining parts, plant capacity is circa 250K with 180K being the average production figure. 180,000 vehicles built in the UK is 180,000 less built elsewhere in the World so who really cares how dull they are! I really wanted to like the new Civic and doubtless it will be reliable, but I could not live with the number of design flaws. @28 Ross A- agree re the education system. At the risk of getting political, it seems absolute madness that Michael Gove has decided to ‘downgrade’ vocational qualifications (ie such subjects will count for much less as contributions towards a GCSE mark). This Government has closed its ears to what employers are screaming at them- many want to take on new recruits yet can’t find those sufficiently qualified. In Germany this would never happen- in fact trade skills are highly regarded (unlike over here)- no wonder their manufacturing base is so much stronger than it is in the UK. If there is one thing that the last few years should have taught our politicians is that we absolutely cannot rely on the financial sector as the primary motor for economic self-sufficiency or growth. They really need to wake up and smell the coffee. The new Civic looks bloody awful compared to the previous version, I knew they would mess it up which is a shame as I rather liked the previous version. My MG6 looks by far a much more handsome vehicle. The top of the range 1.8 VTI-L MY2012 auto Civic hatch drive away price is AUS$33529 (21800 British pounds). That was the price of the MG ZR 160 MY2005 7 years ago. Honda quality and affordable scheduled service is selling many of them here in Australia. I went for a test drive last week and the Civic is the smoothest car I have ever driven. It has noise insulation inside and outside the car. I am glad Honda is still making cars in the UK, it would be nice if we have a Honda factory in Australia. In a couple of years, I will buy a second hand top of the range 2012 Civic hatch for AUS$17000 with less than 30000 km on the clock, that will be half the price for a car with many thousands of km and several years to go. 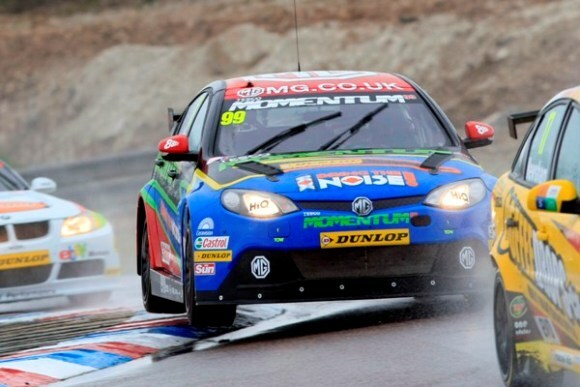 I forgot to mention it must be a good reason for Honda to have two cars in front of the MG6 in the btcc. Honda were recently named in a survey as the producer of the most reliable used cars. I can speak from experience that they do build well put together cars. I also think that their initial Rover tie up was hugely important for the company, in the early 90s riding on an R8 wave, Rover were on a high. 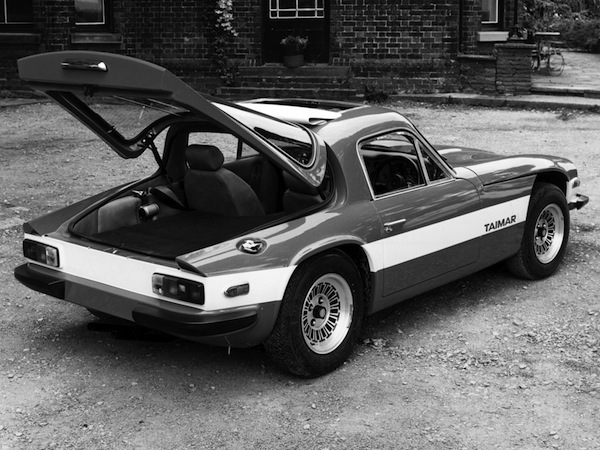 The bubble 200 I never took to as much as the R8, but the 400 was a great end product from the ugly duckling Domani. It lived on a little too long though. A 600/65 based on the last Accord and an 800/85 on the slow selling last UK Legend, a 200/25 based on the Civic would have made for an interesting range. A 400/45 based on the City/Fit Aria would have tied it in with the successor to the Domani, and given Honda a foot in the door of the mid range that was missing until the Civic grew in size with the current gen.
Rover’s resourcefulness and inventiveness could have spawned coupe versions of these, meaning Honda would not need to import the likes of the Accord, Civic and Legend coupes of the late 90s/early 2000s but could badge engineer Rover (MG?) versions and install VTec units. CRV, HRV etc. could have platform shared with LR reducing costs for the likes of the Freelander. Though at the cost of the upmarket expansion they are currently pushing with the help of Tata. 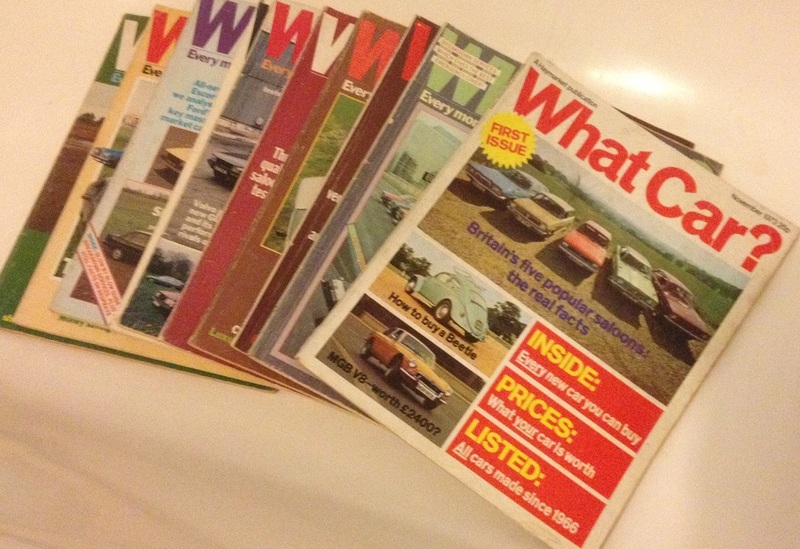 Blog : Happy 40th birthday, What Car?